Paperinik New Adventures (or PKNA) was published by The Walt Disney Company Italy from 1996 to 2001. 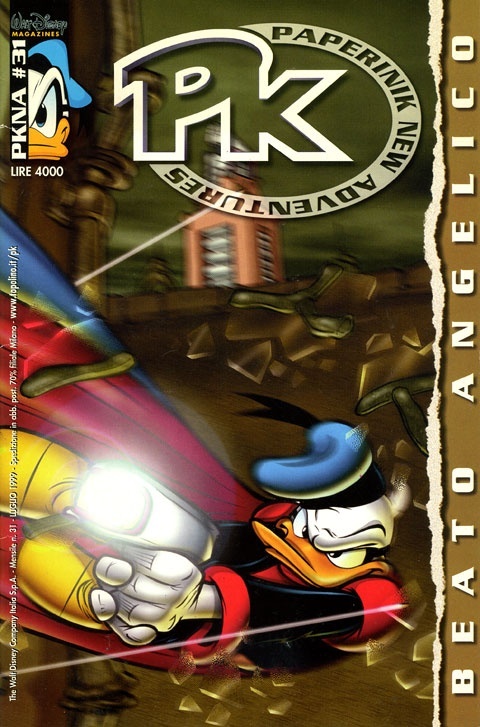 The futuristic series followed the adventures of Paperinik, a superhero alter ego of Donald Duck. The character of Paperinik was originally created by Guido Martina and Giovan Battista Carpi in 1969, but was revamped for this series and new friends and foes were created to form the basis of a new adventure series. 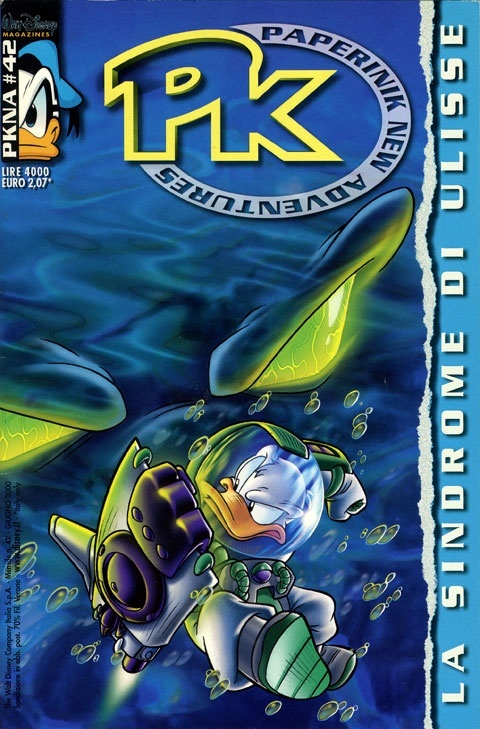 The first issue of PKNA introduced a new enemy in the form of an alien race called the Evronians and two new allies for Paperinik: a very advanced artificial intelligence computer called Uno, and a journalist named Lyla Lay. The Italian press praised Disney’s capacity to renew and develop this new style while respecting the integrity of its characters. PK was first launched in an experimental phase with three test issues. Following positive results (the second test issue sold 130,000 copies), the series was officially launched in November 1996 and became very successful. PKNA was reprinted in many other countries and fans of the series called themselves PKers. Kisah Hidup Paman Gober is published by Kompas-Gramedia, the largest media conglomerate in Indonesia, which not only publishes books and magazines but also owns 5 radio stations and a TV station. 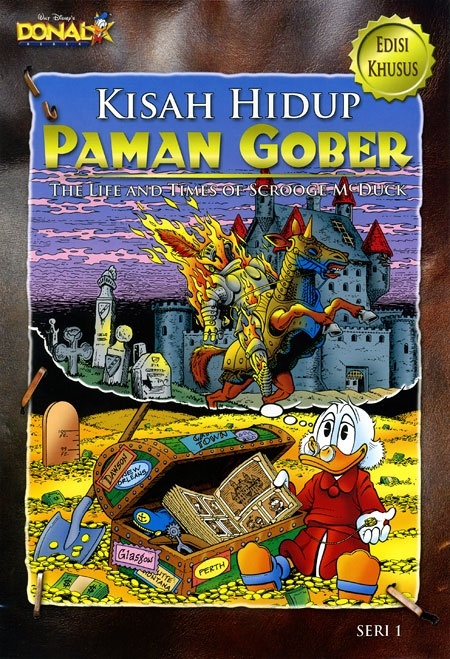 Disney comics have a solid presence in Indonesia with several regular titles, including classic Donald Duck and Uncle Scrooge comics and trade paperbacks, as well as modern titles such as Tinkerbell, W.i.t.ch. and Princess. The country’s flagship title is Album Donal Bebek, which has been published weekly since 1976.